Paul Housberg, photo by Scott Lapham. Paul Housberg creates site-specific works in glass for corporate, hospitality, healthcare and public environments. He says, “my work explores the juxtaposition of order and randomness, as well as the natural human tendency to seek pattern in chaos, our persistent desire to find meaning in disorder. 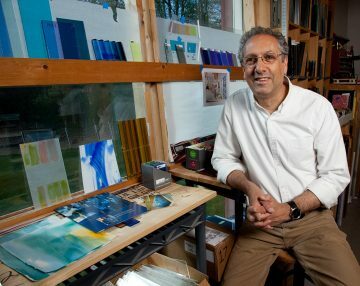 I’m inspired by the ordinary, yet strangely beautiful, phenomenon of degradation—weathered paint on shingles, peeling billboards, rusted metal siding—ordered objects altered by the haphazard effects of nature and time.” Born in New York City, Housberg studied painting early in his career, but was drawn to glass for its atmospheric color. 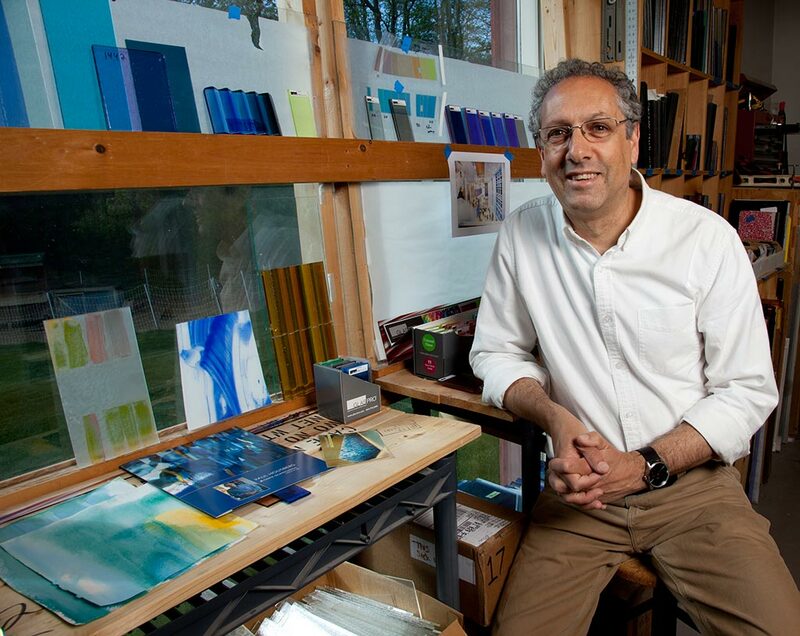 After receiving his BFA and MFA from the Rhode Island School of Design, he studied in England with Patrick Reyntiens, a pioneer in contemporary stained glass. 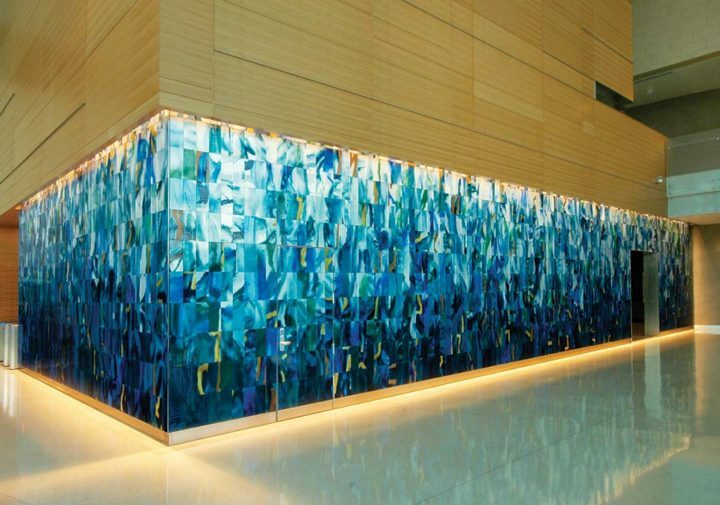 Later, as a Fulbright Scholar, Housberg pursued his art at the International Center of Glass Research (CIRVA) in Marseille, France. Mouth blown glass, vitreous enamel, mirror, 120 x 1,920 in.